Doc Joseph Jeanise, 80, of Silsbee, died Tuesday, August 7, 2018, at Memorial Hermann Baptist Hospital, Beaumont. He was born on September 27, 1937, to Clorise Bellard and Charles Jeanise, in Church Point, Louisiana. Survivors include his sisters, Yvonne Godeaux, of China and Wilma Fontenot, of Sulphur; and numerous nieces and nephews, from Beaumont to Louisiana. 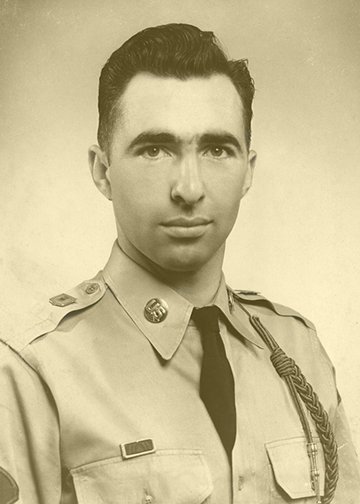 Mr. Jeanise was a United States Army Veteran and served during the Berlin War Crisis. He was a very loyal dedicated employee with the Texas Department of Transportation for thirty years. Doc was an inventor of very creative building tools which helped solve problems. He is preceded in death by his daughter, Ramona Jeanise Williamson; sisters, Oleo Jannise and Isabelle Jannise; and brothers, Leo Jeanise, Ben Jeanise, Asa Jeanise, and Charles Jeanise, Jr.
A gathering of Mr. Jeanise’s family and friends will be from 5:00 p.m. until 7:00 p.m., with a rosary recited at 6:00 p.m., Friday, August 10, 2018, at Broussard’s, 1605 North Major Drive, Beaumont. A Mass of Christian burial will be celebrated at 10:00 a.m., Saturday, August 11, 2018, at Our Lady of Sorrows Catholic Church, 245 Highway 90, China, with interment to follow at China Cemetery. Memorial contributions may be made to, Our Lady of Sorrows Building Fund, P.O. Box 38, China, Texas 77613.